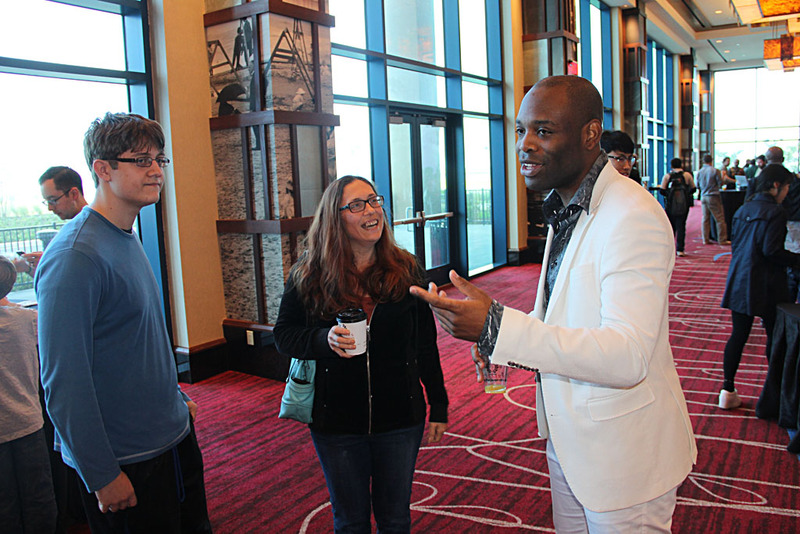 One of the most gratifying assignments in covering chess events are the interviews of various personalities. 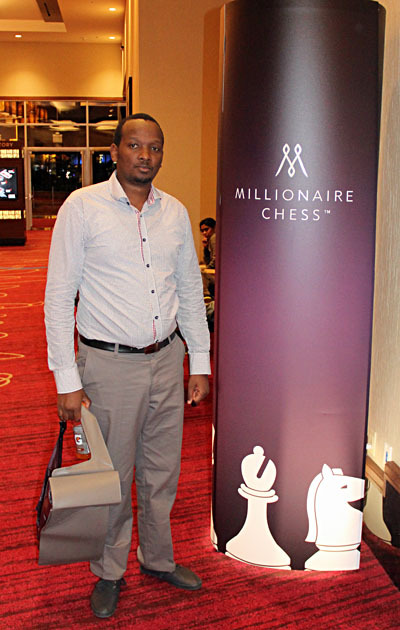 The Millionaire Chess Open attracts players from around the world and the diversity was apparent in all sections. 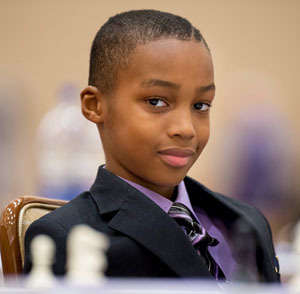 In the under-2200, there were a number of interesting personalities and one of them was pleased to grant his first interview! 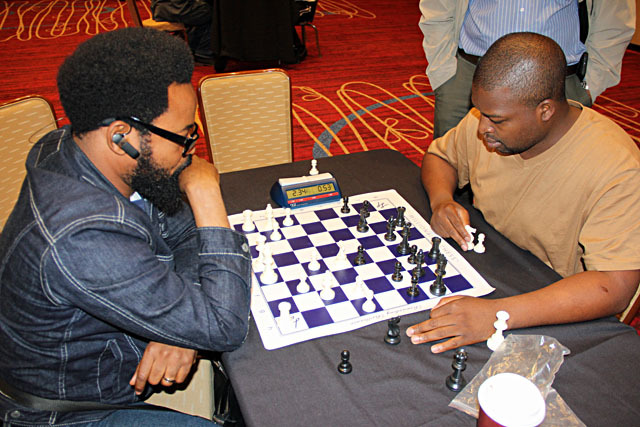 GMs Pontus Carlsson and Maurice Ashley… double exclam!! Pan-African Unity! CM Wachania Wachira (Kenya), IM Daniel Jere (Zambia), Daaim Shabazz (USA), IM Oladapo Adu (Nigeria), IM Farai Mandizha (Zimbabwe). Photo by Daaim Shabazz. 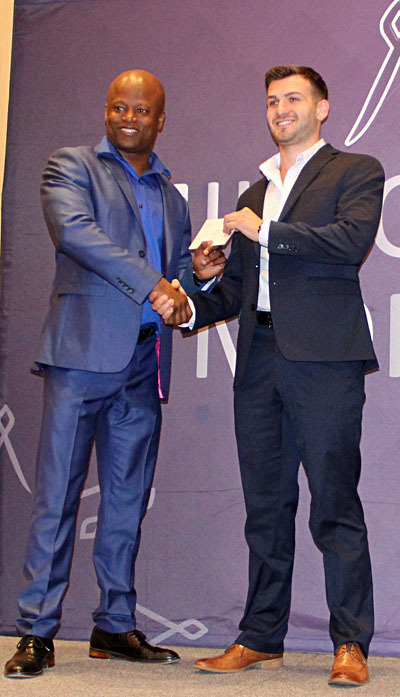 GM Cristian Chirila (right) receiving his prize from GM Maurice Ashley. 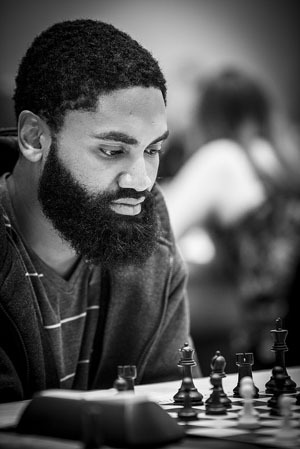 FM Daniel Anwuli upsetting GM Conrad Holt. 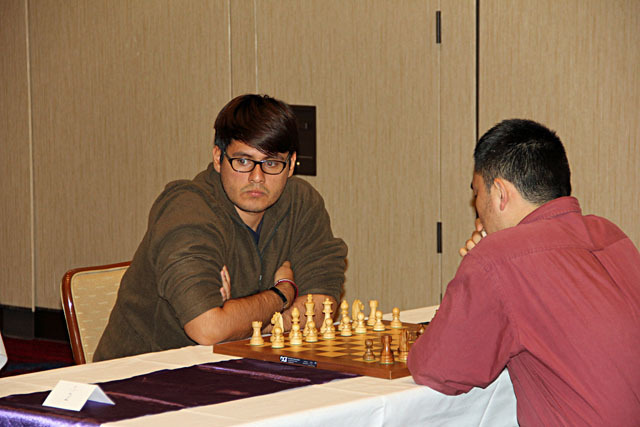 IM Daniel Jere (right) blitzing between rounds. 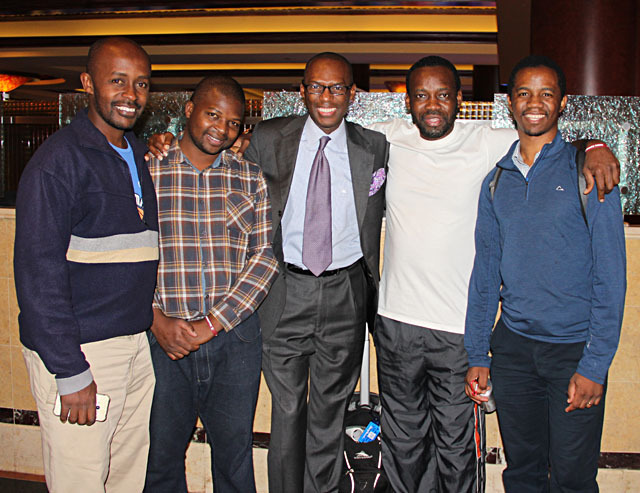 Githinji Hinga visited MC3 from Kenya. during Millionaire Monday. 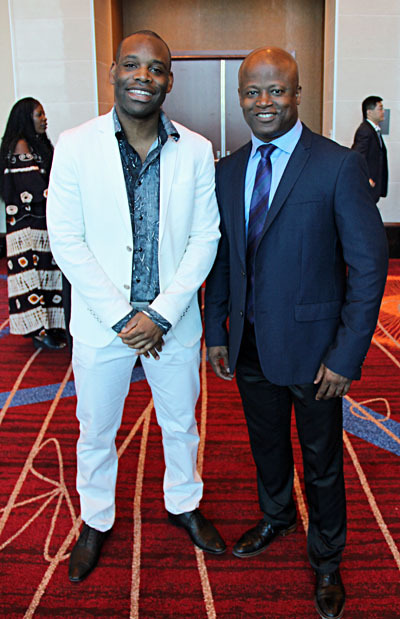 Photo by Daaim Shabazz. 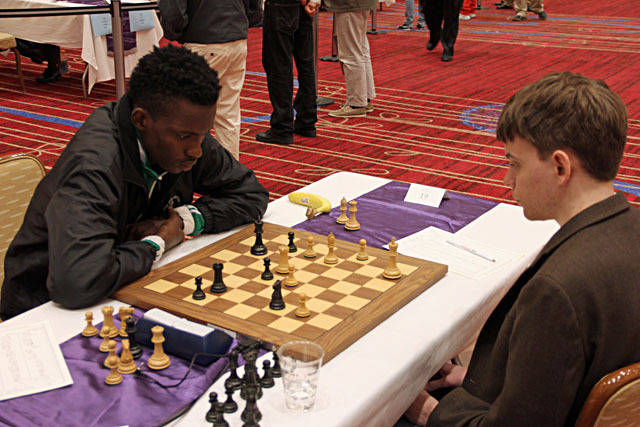 GM Pontus Carlsson of Sweden. Photo by Daaim Shabazz.